Monday 25th December – Christmas Day – 08.15 said Eucharist. One way or another it’s been quite a busy year. We’ve had three visits from different classes in Lockerbie Primary School, organised through the contacts which Maggie Macleod has established in visits to the School. Maggie prepared quizzes and activities for the children to do as they learnt something about the church & Christian Worship & I think it’s fair to say that they had a thoroughly enjoyable time. Maggie hosted these events assisted by members of the congregation. In our worship life, our Thursday (4pm) afternoon service of Evening Prayer with Holy Communion continues with its loyal band of adherents. It is a quiet space during the week when we come together to worship God in the church room and of course, all are welcome to come and join us. 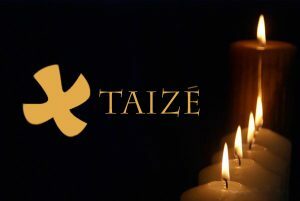 It should also be noted that our Taize services have now taken place on six occasions this year, the pattern being established on the basis of the second Thursday of the month at 7pm. A great deal of work goes into these events and our thanks to Maggie and Kath for organising & leading this worship. It is also worth observing that these events attract a wide attendance from across the churches in Lockerbie & beyond. Good outreach. One of the most noteable successes of the year has been the impact of our Website, run by our webmaster (mistress?) Kath Leadbeater. How do you judge success? By looking at the website, by seeing that it is kept up to date with current material, by noting the number of visitors that there have been and when Kath updates us with the figures we can see that we do actually get a remarkable number of “hits” for such a small congregation. This is serious outreach, people read the prayers, listen to the sermons (!) 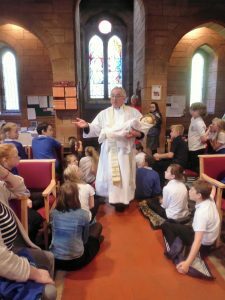 – we don’t know who they are or where they come from, but for them, I daresay that this website of All Saints Church, Lockerbie speaks to them of God. It is very important that it is maintained & grown but it can be a lonely job for Kath, she needs help with material which can be put on the website – it doesn’t have to be religious, what did you do on your holidays, do you have a hobby or pastime that you can write a note about? Do you write poetry? What was the last book you read? Do you have photos suitable for publishing? Yes, do you have a favourite prayer – if so tell Kath & do a wee note saying why you like it. I think our website is outstanding, please help Kath to keep it like that. Back in August, we held a joint Vestry / Outreach Team meeting out of which came various proposals for the use of our church. Included in this was a Coffee morning once a month to be called Elevenses at 10.30 – 11.30 simply as a place & time for people in our vicinity to drop in for a coffee & a bit of company for a while on the last Thursday of the month. Bill & Hilary Carmichael suggested we invite the Dryfe Singers along to give a (participative) concert of songs and this is diarised for Shrove Tuesday next, being 13th February 2018. Lynne Prhal suggested we might get “A Taste of Country” – a group of entertainers from Thornhill to come & put on an evening and it is hoped we can organise this for next year in due course. We had intended to hold a Christmas Crafty Fair in the church as well as set up a stall on the High Street for the Lockerbie Christmas Fair but the injuries of the organiser prevented that happening. 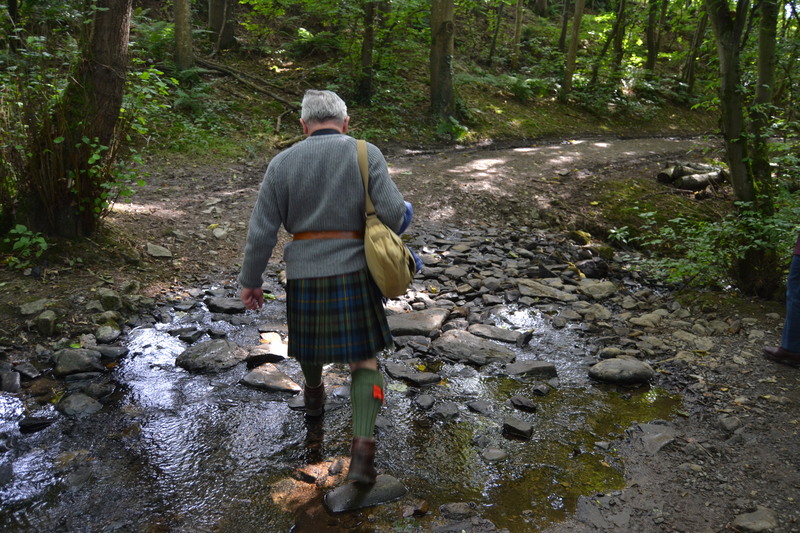 Is that John in the wilderness or outreaching? Thanks also to Lynne Prhal for suggesting, organising & publicising the dramatic rendition of the Gospel of Mark on 25th November. This was a major event for All Saints and a great success. It is good that our church should be used for suitable events which might be broadly attractive to the community in which we live. Having removed our pews and replaced them with very comfortable chairs in 2016, we have obtained some additional lighter chairs which we can use when attendance requires. It is important to renew and refresh our premises for ourselves and for the next generation. I would also like to say a special thanks to our Rector, the Rev’d Martin Callaghan for all the guidance and love which he has shown to me. He has been a constant and trusted colleague when times have been tough, a good companion when the going has been good and at all times a most gracious priest and spiritual help. This will be our last Christmas with you as I come to retire. On behalf of both of us, I would like to say thank you to you all for the welcome you gave us in 2012 and for all the care and love with which you have looked after us in the intervening time. And, most importantly, for your prayers. 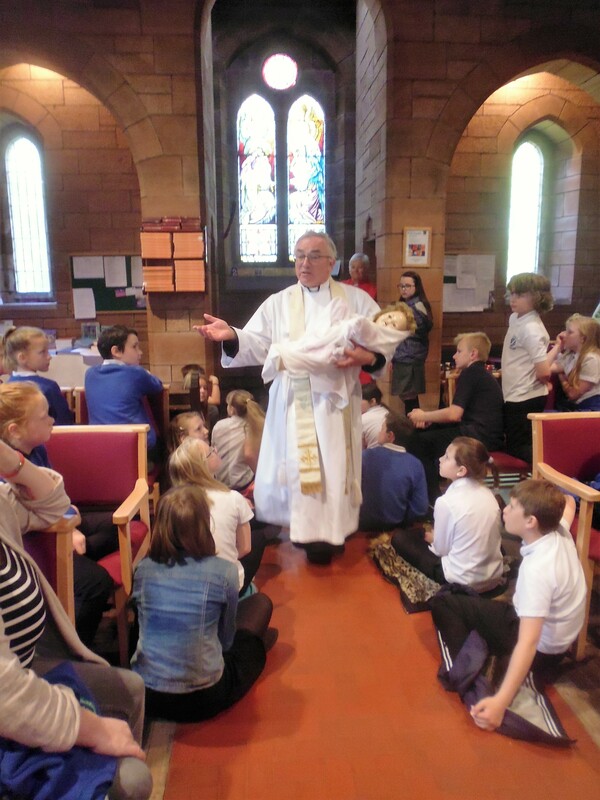 We have had a wonderful time in All Saints and we will miss the Church and Lockerbie more that we can adequately say. 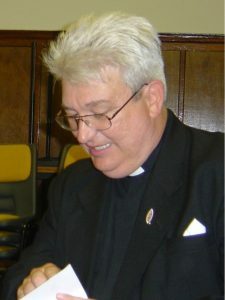 So God bless you all and may He strengthen and encourage you for service in this place, in a continuation of the wonderful pastoral care which you give to one another and to those who are not of our church, may the Holy Spirit be with you to lead and guide you into the future which He has for you.